The following article from Socialist Democracy (Ireland) highlights the impact of the reactionary unionism in Northern Ireland. 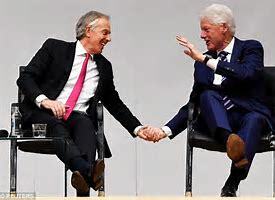 The Good Friday Agreement, with its official recognition of Unionists and Nationalists in a reformed Stormont, acted as liberal mask for the continued sectarian order in Northern Ireland. This placed the UK government in the position of ‘neutral’ arbiter, the better to ensure its continued rule. With the DUP now in alliance with May’s post-Brexit vote Conservative government, reactionary unionists see no need to maintain the liberal facade. Growing UK centralisation of power was always a central feature of Brexit, and its implications are not confined to Ireland. A common myth regarding the northern state is that it has been without a government since the Stormont Assembly and executive collapsed in early 2017. Accompanying this is the claim every that every ill in society (from sectarian intimidation to a failing health service) is down to (or at the very least made worse) by the absence of devolved government. What usually follows from this is a call for Stormont to be restored as a means to bring about some improvement. This is a call that is made unambiguously and unconditionally by the trade unions. It is also a call that is made by the left groups (albeit dressed up in rhetoric about fighting austerity or securing civil rights). The underlying assumptions here are that the political institutions brought into existence by the Good Friday Agreement (GFA) can shield the working class to some degree or even be a vehicle for reforms. The problem is that such assumptions about the governmental structures in the north are without foundation. The Stormont Executive and Assembly – throughout the period of their existence – had a very poor record on public services , extending rights or countering sectarianism. As the devolved institutions matured they actually got worse and at the time of their collapse had become a by word for incompetence, corruption, sectarian patronage and austerity. Indeed, it was this decay (highlighted by the Renewable Heat Incentive scandal – ‘Cash for Ash’) ) that provoked the revolt in Sinn Fein’s support base that forced the party to pull out of the Executive and bring down the institutions. 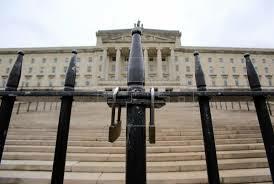 The proposition that a restoration of Stormont will improve conditions for people in the north is fanciful. Equally as fanciful is the claim that there is no government in the northern state. Local politicians may be out of office but the most important organs of the state – the civil service, police, courts etc.- continue to function. As in any other capitalist society there is an apparatus of class rule that continues to operate irrespective of what party is in government or even if there is a government at all. The critical point to be made in relation to Northern Ireland is that there certainly is a government that is exercising authority – and that is the British government. While it may not be direct rule in its full form it is still rule by Britain. While the local civil service may be one step removed from London it is there that its political direction is being set. As time progresses the guiding hand of the British government becomes more visible as it takes on greater powers and responsibilities. The most recent example of this is the unveiling of an annual budget for Stormont by the Secretary of State (SoS). This is the third such annual budget that has been introduced at Westminster since the collapse of the local institutions. The actual legal basis for such interventions is dubious with the legislation allowing for this only being passed last October. Under its provisions civil servants are permitted to make decisions in the “public interest” and under guidelines set by the SoS. The legislation included a talks timetable for the restoration of devolution running from Jan to March and allowing an extension to August after which an election must be called. Of course this falls completely outside of the terms of the GFA – demonstrating the degree to which the British government can make things up as it goes along and also retrospectively justify any decision it has taken in the past. For all of the talk (particularly around Brexit) about the GFA being an internationally recognised treaty experience has shown that any of its provisions be overturned at Westminster and that Britain as a state is not bound by it in any way. In terms of substance the budget introduced by the SoS carries on the policies of austerity. In cash terms it is around £11.£bn which is similar to previous years – but when inflation and demand pressures are taken into account it represents further financial tightening. For example, the health service is set for a 6% cash increase, but when inflation is factored in the uplift equates to around 2% in real terms. Meanwhile education gets a 3.2% boost – but that works out at a 0.7% cut when inflation and this year’s in-year spending is factored. Overall, the budget falls far short of the coast projection of £11.9bn that is needed to fund public services. This is despite the additional £140m this year from the Treasury as part of the DUP’s supply an confidence deal. Indeed, as most of the £1bn of that deal falls outside regular departmental budgets – and is ring-fenced for infrastructure projects – its impact on the day to day running of public services has been limited. Also underpinning the budget is an assumption that £320m of efficiency saving can be found – most of this is focused on the health service and the implementation of the privatisation policies in the Bengoa Report. The budget also raises rates with domestic rates set to rise by almost 5% and business rates by just under 2%. Overall, what the budget signals is not just a continuation of austerity but also an extension of control by the British government over taxation and spending in the north. It is not just financial matters on which Westminster has intervened. The SoS has also made extensive use of the power of appointment contained in recent legislation. Used initially to reconstitute the Policing Board this has extended to cover the appointments of the attorney general, senior police officers, members of the Probation Board and the post of Police Ombudsman. The power to appoint members of the Judicial Appointments Commission – the body which appoints judges – has already been transferred to the Lord Chancellor in London. This is not confined to the policing/judicial field but across the public sector. The SoS has now taken the power to appoint a member of the Victims’ Commission, a member or chair of the Livestock and Meat Commission or a member, chair or vice-chair of the Housing Executive. The role of British government in the north will expand greatly in any post Brexit scenario in which a large amount of new legislation, regulations and government orders which will become necessary. It has been reported in the Irish Times that in such a scenario direct rule in its fullest form would be introduced. According to same report the Irish government is viewing such a development as “ an administrative necessity rather than a political move”. This response really shows the weakness and complicity of the Irish ruling elite in regards to the north. Despite the earlier rhetoric about a return to direct rule being unacceptable and not allowing people to lose out under Brexit this is exactly what is coming to pass. The reintroduction of direct rule would be of huge political significance – marking the formal end of the Good Friday Agreement process after many years of decay. This would be a new situation in which any pretence of neutrality on the part of Britain or any attempt at power sharing will have been completely abandoned. This will have the support of the majority of unionists who have moved decisively against devolution and in favour of direct rule. Indeed, the immediate introduction of direct rule is now the main demand from all the unionist parties. Brexit (particularly a no-deal Brexit) will reinforce this by creating economic barriers and divergence between north and south. 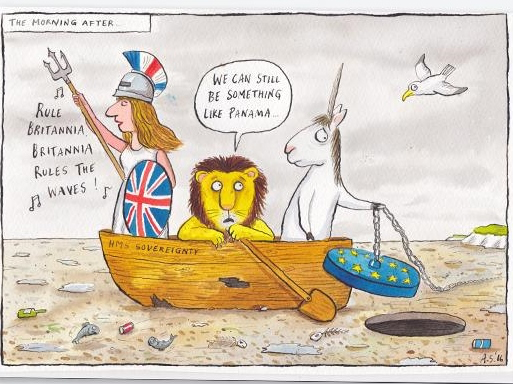 Rather than the border being blurred out by European integration it will now become increasing visible. All the nationalist assumptions about how the peace process would developed have been completely overturned. The latest grasping of straws – that somehow Brexit will boost nationalist sentiment and hasten a united Ireland – is likely to prove as illusory. 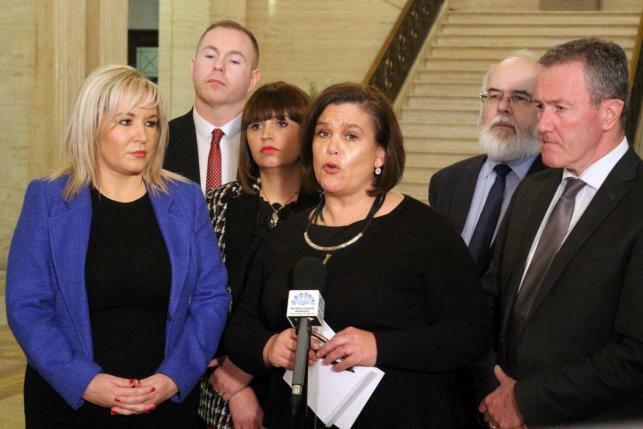 All of this – which is reflected in the muted response of Sinn Fein to the moves towards direct rule – points to the broader weakness of Irish nationalism and its inability to challenge the power of Britain and its unionist allies. 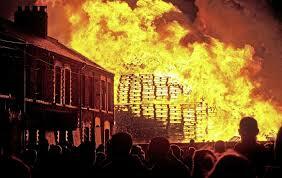 The E&L blog has been reporting the situation in Ireland since we started up. However, during current Brexit negotiations , the ‘backstop’ has pushed the issue of Northern Ireland to the fore. We are publishing two articles which share a lot in common in their analysis of Ireland, but which offer differing perspectives on the role of the EU. The first is written by David Jamieson and first appeared on the Commonspace blog. The second is written by Allan Armstrong and forms the seventh chapter of his new pamphlet From Blatcherism to Maybynism. 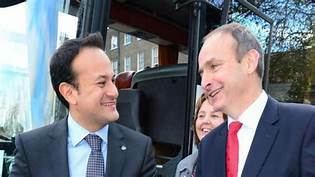 We are posting two articles from the Socialist Democracy (Ireland) website, highlighting the problems faced by the current Fine Gael government in the Dail and the lack of enthusiasm for reviving Stormont in Belfast. 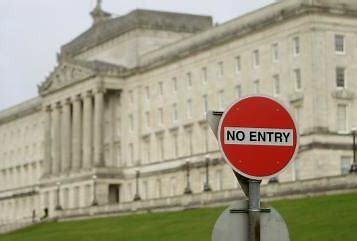 A de facto government of national unity in Ireland weakens capitalism and poses a sharp challenge for the opposition. We posting to articles from the Socialist Democracy (Ireland) website on the current political situation South and North. The first looks at the recent Presidential election; the second at the collapse of Stormont. Sinn Fein presidentail candidate. 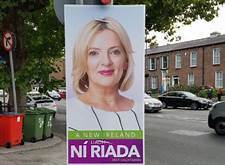 Liadh Ni Riada, appealing to the lowest common denominator in ‘A New Ireland’ – but no mention of Sinn Fein! Throughout the presidential election one could only watch open mouthed as RTE, an organisation usually incapable of reporting real events, spent day after day in minute analysis of a nothing burger election. 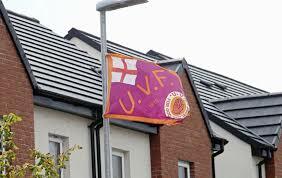 Capitulation to Orangeism pays off, but at what price? 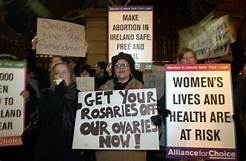 We are posting the following article from Socialist Democracy (Ireland) on the victory over the forces of the traditionalist Right in the 8th Amendment referendum on abortion in Ireland.